Foppe's Acre is a little farm in Friesland, the Netherlands, owned by lord and master Foppe the cat. 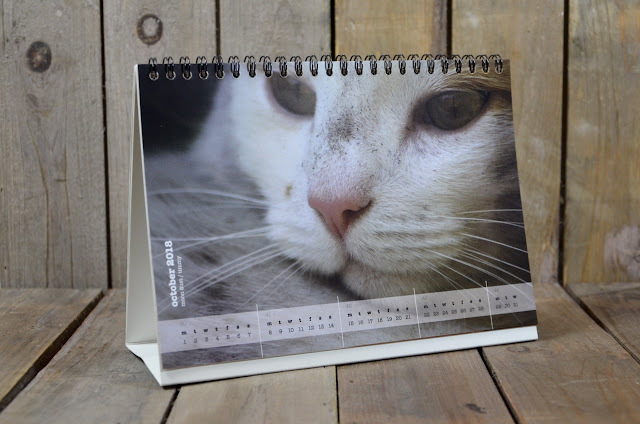 Follow Foppe and his family on their adventures through the seasons on this special edition A5, 12 month desk calendar with metal spring bind; smooth matte paper with incorporated sturdy stand. Get your copy today so you’re all set for four fabulous seasons with the felines of Foppe’s Acre! 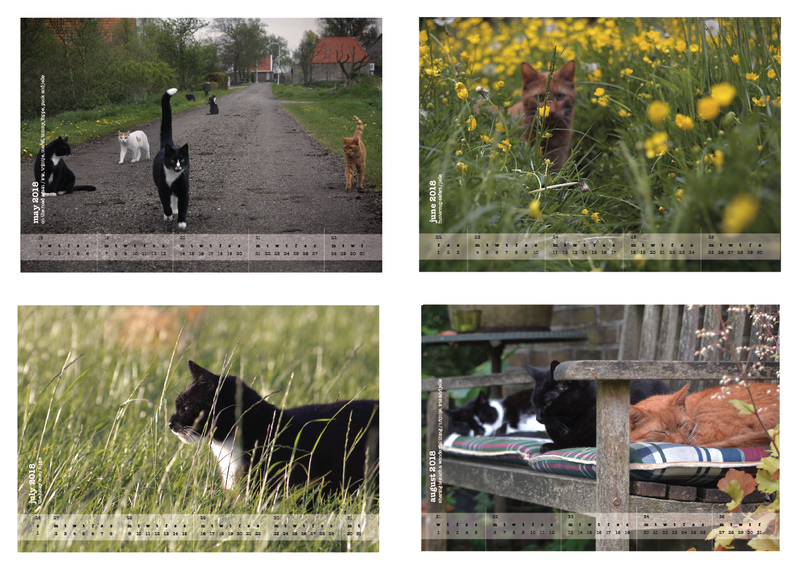 Outside Holland: Only $ 20.00 including shipping! 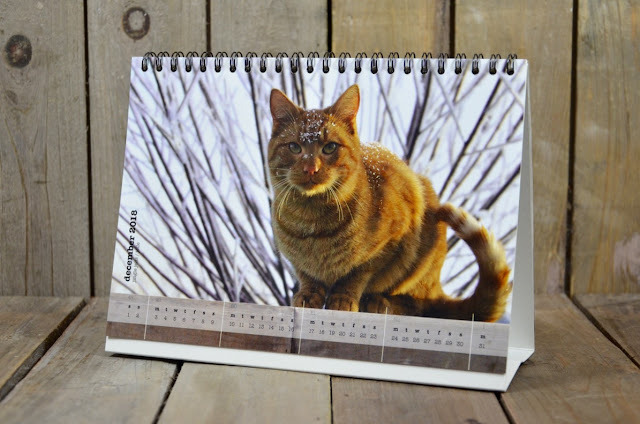 Binnen Nederland: voor maar € 15,00 inclusief verzenden! 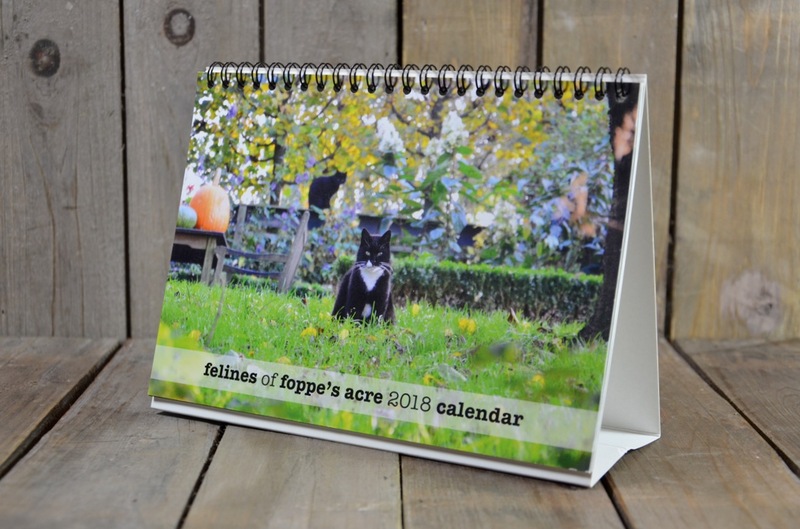 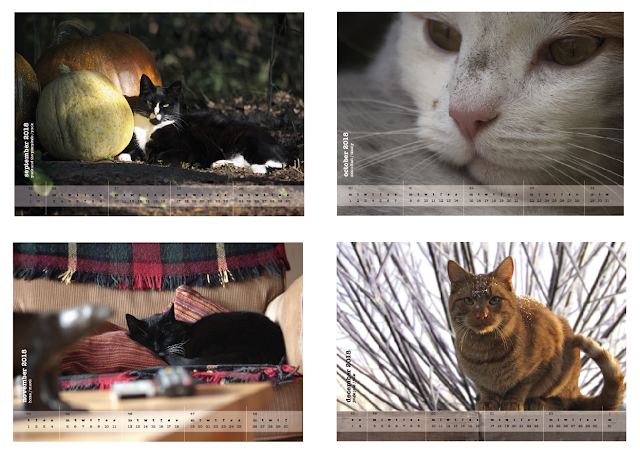 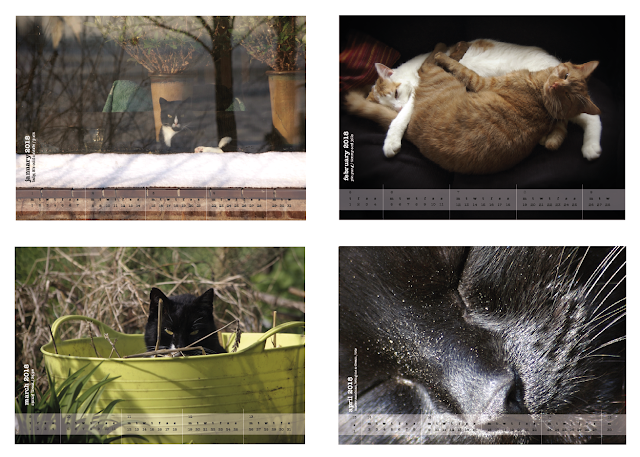 Order through my shop on Etsy or directly by Paypal to amoor@xs4all.nl note; Feline's of Foppe's Acre Calendar (include your address).